This issue features an Indiana homebuilder who was initially set to just pour a concrete floor—then, as the owners learned more about concrete, they kept wanting more. The result is an impressive ICF home. After that, be sure to read about sustainable concrete innovation, defining your decorative concrete business goals, constructing concrete domes, and more. And, as always, we also bring you the most recent industry and product news. 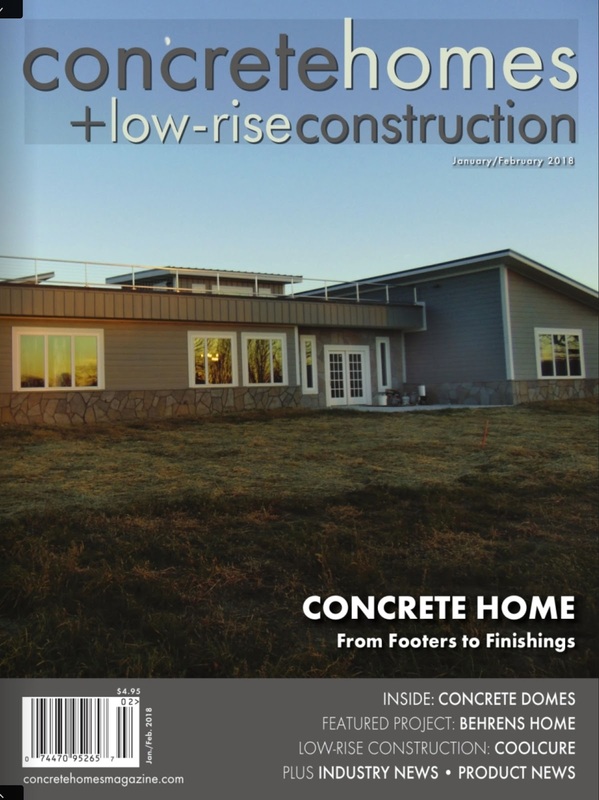 Concrete Homes + Low-Rise Construction is published bimonthly, in print and online.